Just last week, the federal government issues their new food guidelines and of course, that got me thinking. January is always the time of year when we resolve (there's that word again) to eat healthily and lose weight, exercise more and so on and so forth. It's also the time of year when I remember Vanessa Pasiadis' book Don't Call Me Cookie. This little book, targeted for the tween audience actually provides some outstanding tips for anyone wanting to revamp their eating habits and follow the new guidelines. Don't Call Me Cookie was originally published several years ago and was way ahead of its time. Vanessa Pasiadis took her own journey to living an "actively active" life and practicing "the not-so-secret" secrets she shares in the book. Cookie anticipated Michelle Obama's efforts as well as the current commercial campaign and partnership between Oprah Winfrey and Weight Watchers. Early on, Rainbow Babies and Children's Hospital in Cleveland, Ohio endorsed the book, and Pasiadis told her tale as a keynote speaker at the Laura Bush Institute for Women's Health at Texas Institute of Technology. Ms. Pasiadis, a lifelong Weight Watchers member, modified the tried and true techniques to speak to tweens. Throughout the research for the book, Vanessa surveyed numerous tweens and gained valuable insights. She has a Master's of Public Health Administration from the University of Pittsburgh and taught biology as well. The book reflected her dedication to health care advocacy addressing a public health problem - childhood obesity. 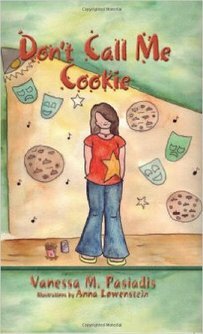 The book is a simple whimsical tale of a young girl, Kate "Cookie" Lemon, struggling with a weight problem. As the story unfolds, Cookie learns how to eat properly, avoid temptation, and certain tricks that will keep her from backsliding and allow her to live an active, healthy life. She is an aspiring actress, and gets the lead in the school play, "Annie". After an accident sidelines her for a bit, she visits her pediatrician and receives some valuable advice for moderation in eating and clever substitutions to enable her to still enjoy food, while going healthy. 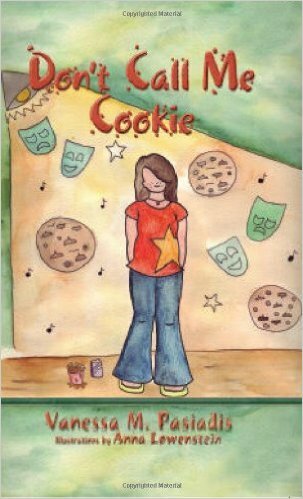 Her newfound habits influence her friends and by the guidance of her middle school teacher, Cookie, or Kate as she prefers, learns some valuable lessons that will help her maintain a healthy weight and lifelong healthy eating habits. One of my favorite of these habits is substituting French fries for raw green beans. The beans offer the same satisfying crunch as the fries without the fats, starches, and sodium. They are a filling tasty treat that is healthy as well. In addition, I still write down everything I eat. It's amazing what we put into our mouths and don't even realize it, so that's another valuable lesson learned from this little book. In order to reach her audience, Vanessa engaged 13-year-old girl Anna Lowenstein to illustrate the book. Anna (now in college) provided a series of outstanding drawings, and incorporated the green bean theme somewhere in each picture. It's a cute game to locate the beans so tweens and their families can have fun while learning how lifelong eating habits affect them all. Don't Call Me Cookie is the perfect book for families to read together and discuss. Cookie's father is faced with a health scare, and has to modify his own eating habits, so this addresses adult concerns as well. Even her mother "who can eat anything" faces her own bad habits and learns to curb her appetites. The entire family embraces the new lifestyle changes and benefits from them. Even Cookie's friend Justin, struggling with his own issues, gets into the swing of things as Pasiadis points out that boys are as susceptible as girls to negative eating habits, and fight with weight issues as well. With the government's new guidelines that advocate using lesser amounts of sugar and sodium, in addition to portion control, and their plate set up, Don't Call Me Cookie provides a handy, fun way to re-learn eating habits and live an active, healthy lifestyle. In this time of resolutions to get healthy and lose weight, it's always good to have a guidebook to help along the way. Don't Call Me Cookie offers that and more, all wrapped up in a cute, friendly story.